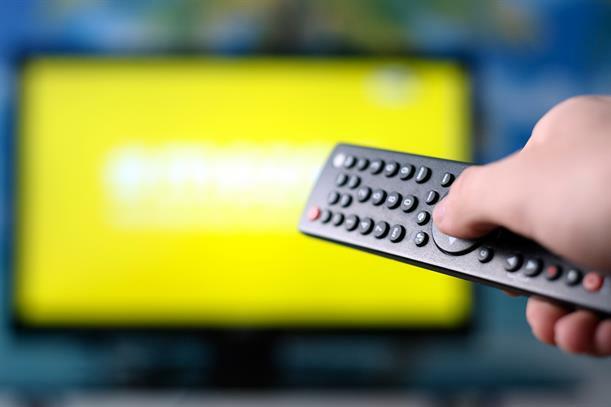 Revenue from pay TV has fallen for the first time in the UK, while subscriptions have fallen behind streaming services such as Netflix, Ofcom has revealed. The regulator’s Media Nations report, published this morning, also found that spending by terrestrial broadcasters in the UK has fallen to a 20-year low. Ofcom found that people are spending less time watching TV overall, with average broadcast viewing falling by nine minutes in 2017 – down 38 minutes since 2012. The total number of UK subscriptions to the three most popular online streaming services – Netflix, Amazon Prime and Sky’s Now TV – reached 15.4 million in the first quarter of 2017, overtaking, for the first time, the number of pay TV subscriptions, which stands at 15.1 million. Meanwhile, following a period of sustained growth, the UK’s pay TV providers saw a 2.7% decrease in total revenue last year to £6.4bn. In contrast, the increasing number of streaming subscriptions contributed to a 28% growth in online audio-visual revenues, to £2.3bn in 2017. Meanwhile, TV advertising income fell by 7% to £3.9bn, Ofcom reported, worse than the 5% that ITV reported in its annual earnings for 2017. Lindsey Clay, chief executive of Thinkbox, pointed out that most people who view pay-TV content are watching streaming services as well. "We watch broadcast TV and on demand, depending on the time, place, type of show and the company we are in. As TV evolves, we are watching less broadcast TV than before – although still much more than anything else – but that is because we have more choice than ever. And if we didn’t have broadcast TV, we’d have to invent it because we will always enjoy sharing our TV," Clay added. Ofcom’s research revealed the amount of time spent watching broadcast television on the TV set has continued to decline and, in 2017, stood at an average of three hours 22 minutes a day, down nine minutes (4.2%) from 2016, and 38 minutes (15.7%) since 2012. Among children and viewers aged 16 to 34, declines were steeper, leading to the over-65s watching four times as much broadcast television as children in 2017. Total daily viewing time across all devices stands at five hours one minute, of which two-thirds (three hours 33 minutes or 71%) was to broadcast content, and one hour 28 minutes to non-broadcast content. However, among 16 to 34-year-olds, total daily viewing time in 2017 was four hours 48 minutes, of which less than half (two hours 11 minutes, or 46%) was to broadcast content, while just under an hour per day was spent watching content on YouTube. Sharon White, Ofcom’s chief executive, said the change in trends of viewing habits found in the research has "profound implications for UK television" and that the challenges broadcasters face in declining revenues "cannot be overestimated". However, White added: "UK broadcasters have a history of adapting to change. By making the best British programmes and working together to reach people who are turning away from TV, our broadcasters can compete in the digital age." The BBC, ITV, Channel 4 and Channel 5’s £2.5bn combined network spending on original UK-made programmes in 2017 represents a record low – and is £1bn (28%) less than the 2004 peak of £3.4bn. An increase in funding from third parties towards the cost of programme-making (from £147m in 2008 to £338m in 2017 across the BBC, Channel 4 and Channel 5) has partly helped to mitigate this decline. Enough of brand safety, what about the safety of real people?